I served this chutney with idli sambar last night at dinner. I really liked it. Add warm ghee in its center and serve. 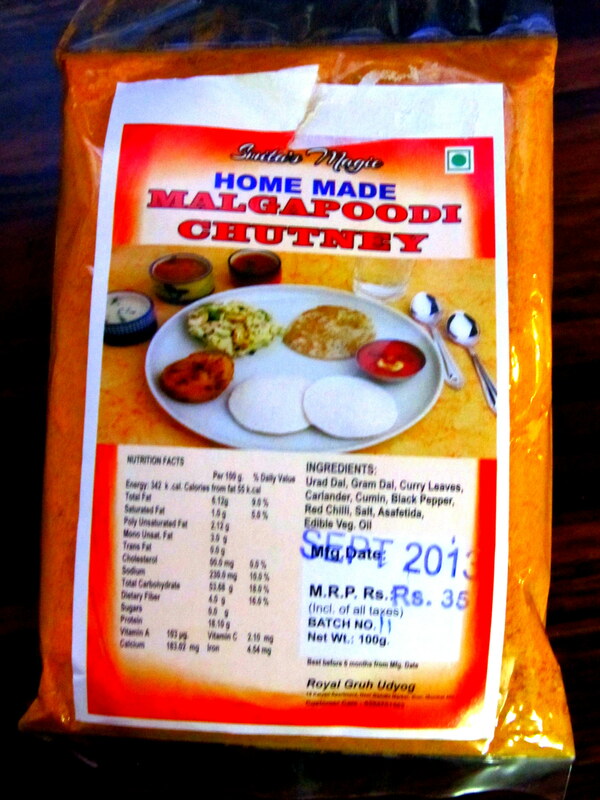 I used this powder to make Sambar last night . I served it with idlis (see earlier post) and malgapoodi chutney (post to follow). Years ago if anyone told me to use MTR products, I would have desisted – and desisted hard. However, in the past few months, I have been using a lot of their products – and I am impressed. REALLY. I highly recommend MTR brands now. Most of the foodstuff I really really like and some like this is decent. 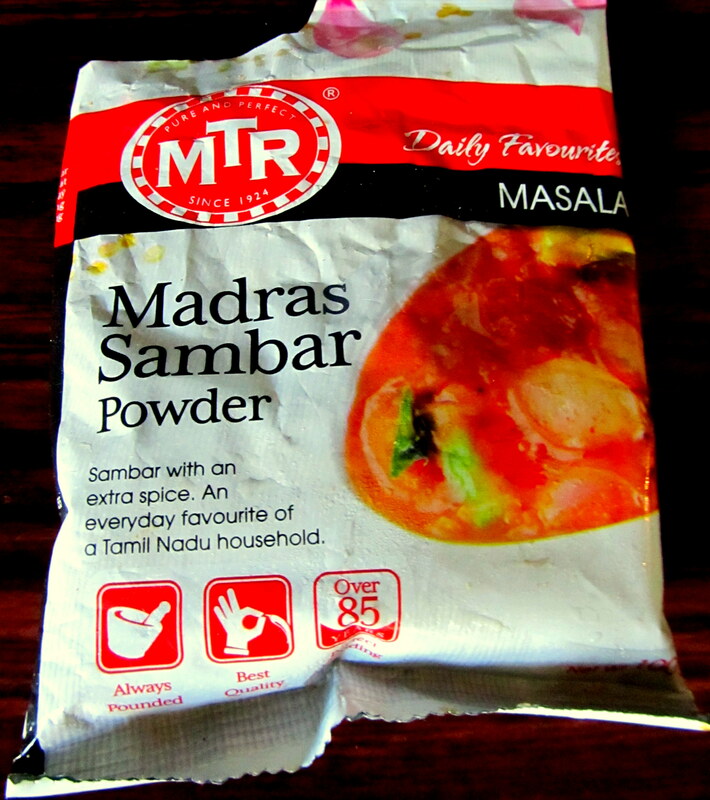 To make sambar – using Madras Sambar powder is quite decent. Just follow the directions on the back of the packet and sambar is ready. The only addition I made to this recipe was I added red chili powder for more a spicy flavour. Availability in Mumbai: I picked this pack when I was in Bangalore. I’m not sure if its available in Mumbai as I have checked a couple of grocery shops here and they don’t stock this product from the MTR range. However, it is easily available in any of the store in South India. I made a South Indian dish – Idli sambar for dinner last night. 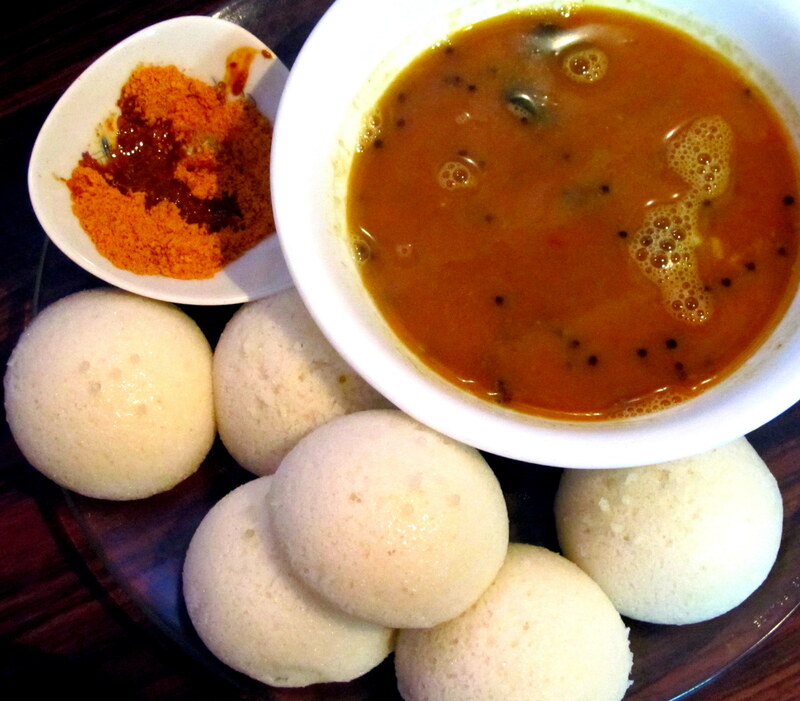 Idli is fermented ground rice and lentil, which is steamed and served with sambar and chutney. On steaming each idli puffs-up and is quite delicate. Its a lovely light eat. Infact, it is served as a breakfast item on many menus.